KJ Christopher’s ACME Special is unlike anything else you see at most autocross events, both on and off the track. 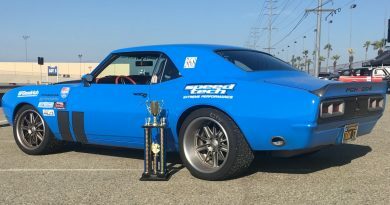 Up until this month this monster of an autocross car was based in the same home region (Cal Club) as AutoXandTrack and so we frequently witnessed the fastest autocross car in the country in action. In Cal Club, the ACME Special regularly beats the next fastest car by 10+ seconds in raw time. 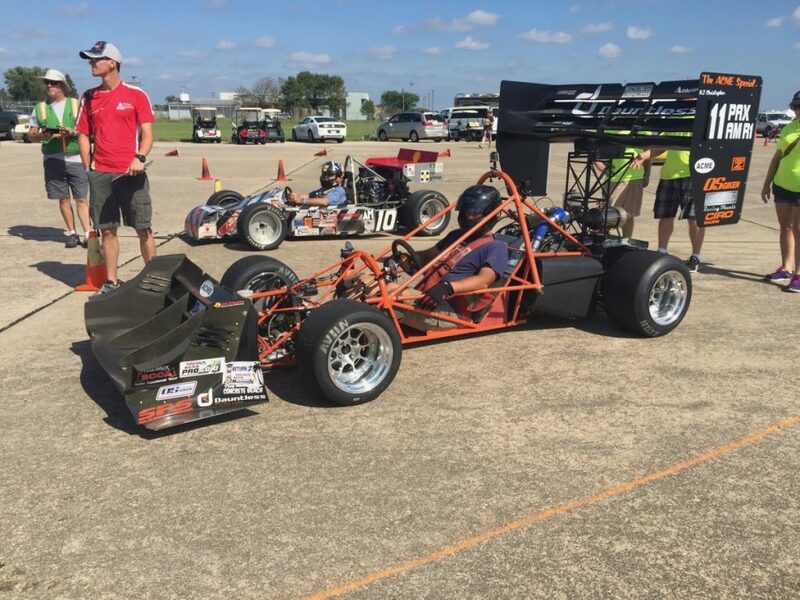 At the 2016 Nationals, not only did the ACME Special have the fastest time of any car or kart at the event but it was 13 seconds faster than the fastest non modified or kart class car. The car performed so strongly at the 2016 Nationals event that the PAX index for all other cars were adjusted, again. The ACME Special won the A-Mod class at SCCA Nationals back to back in 2015 and 2016. However, this car has been around since the 1990’s. 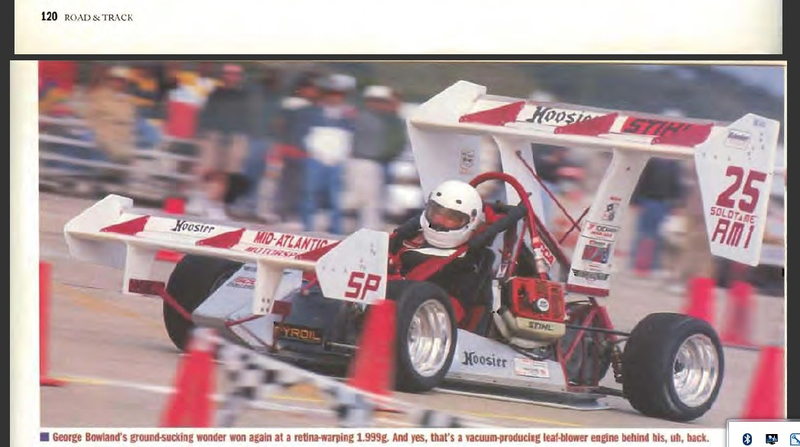 While in the hands of previous owners, and with very different configuration, it won SCCA Nationals in the 1990’s multiple times and still holds a Hillclimb record from that era. 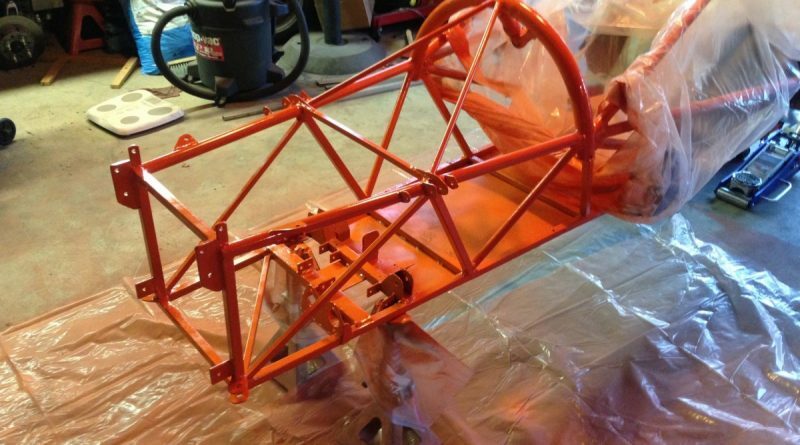 So of course AutoXandTrack had to interview KJ and learn more about this crazy contraption! Please give us an overview of the ACME Special. 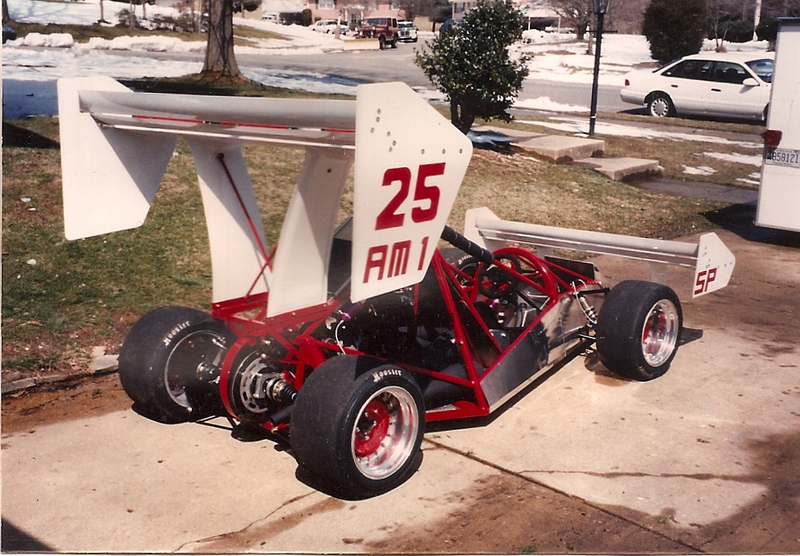 The ACME Special started life as an early BBR Shark. It was built in the very early 90’s by George and Todd Bowland as a sucker car. 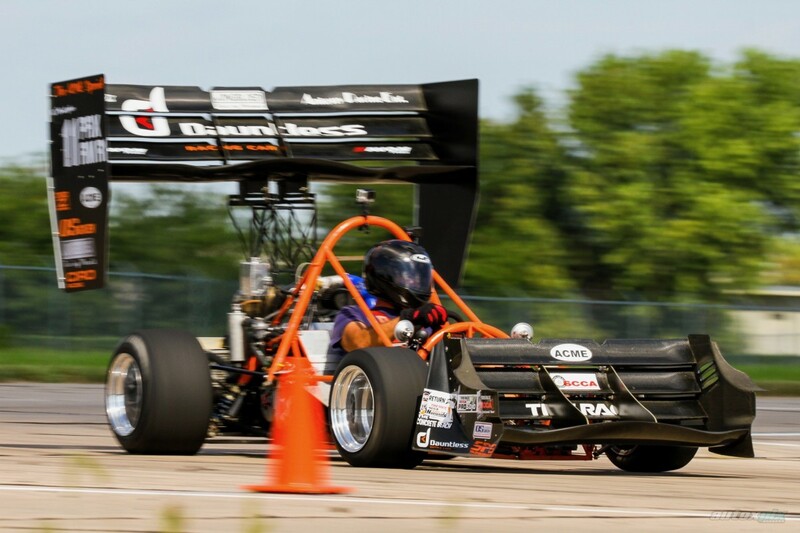 However, the sucker feature was ruled illegal before being able to compete at SCCA Nationals. In this picture, you can see one of the leaf blowers behind George’s shoulder and the bottom sealing skirt. Later, the car was owned by John Engstrom and Steve O’Blenes, who both made minor modifications to the car. I got the car from Steve. 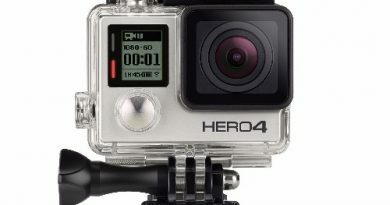 Repowered with a Yamaha Apex four-stroke engine, with added turbo. Greg Santry at GNS Enterprises was a great deal of help with this process. One of the only snowmobile tuners willing to work with me, he provided invaluable advice and hard parts to get it off the ground. I still occasionally call him for clutching tips. Great guy. Had Rennie and Stan Clayton at Dauntless design and build new front and rear wings. Very talented guys with a good product. 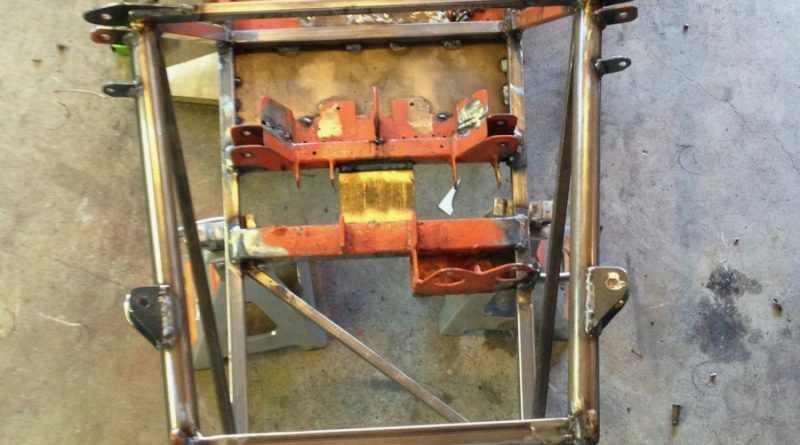 Extended the front frame/wheelbase, with slightly modified suspension geometry. Installed an AEM Infinity ECU to handle the engine tuning. 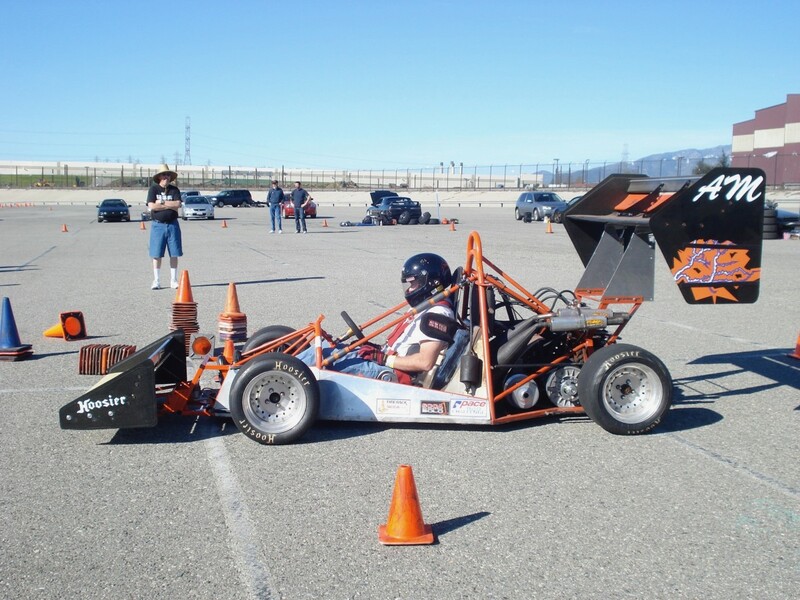 How long have you participated in SCCA Solo Autocross? What drew you to the A-Mod class? I think my first SCCA Solo event was in 2007? I took my 1968 Barracuda out to an El Toro event, then ran the remaining events in my M3 convertible. Then, for the next three years I ran my Mazda RX8. First, in the regional street tire class, then B Stock, and then STX. I love to “fix” problems as opposed to making compromising band aids. That’s what made A-Mod attractive to me. 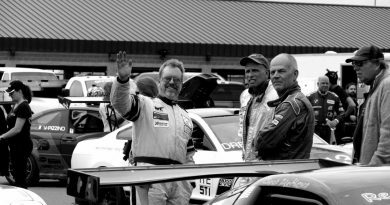 The entire SCCA Solo rule book is a list of allowances except for one small section on Specials. That one is a list of restrictions – let your imagination flow and your abilities shine. How did the partnership between you and Co-driver Marshal Grice come to be? Marshall is drawn to mod cars like a moth to flame. I brought the car out to its first event and he was standing there when I turned around. I think that was when I got the first idea from him. That started the long list of “build something and test it” items. Marshall is full of ideas. Some of which are good. Our friendship and partnership just took off from there. We have a lot of complimentary skill sets. I’ve heard of off season upgrades described as “cutting the back of the car off and starting over.” What has the path been like to get the car from how it started to where it is today? We knew going in that there was an overall punch list: Aero, repower, improve weight distribution and improve the rear suspension geometry. It’s taken a long time, but that is primarily due to our busy race season and the fact Marshall and I both have day jobs. For several years, Christine and Stacey just understood and accepted that we would spend our two-week Christmas break in my garage working on the next line item in the plan. List any and all mods/specs that we can highlight. Yamaha Apex 1000cc snowmobile engine and associated CVT transmission. 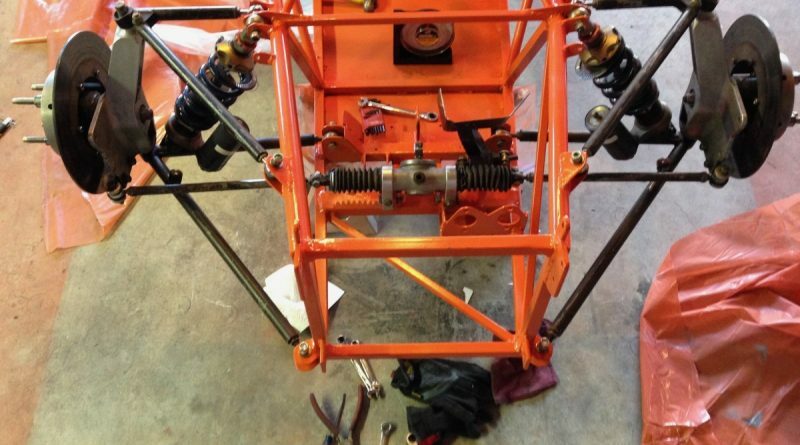 The front suspension is a double-A arm with custom uprights by John Carriere. 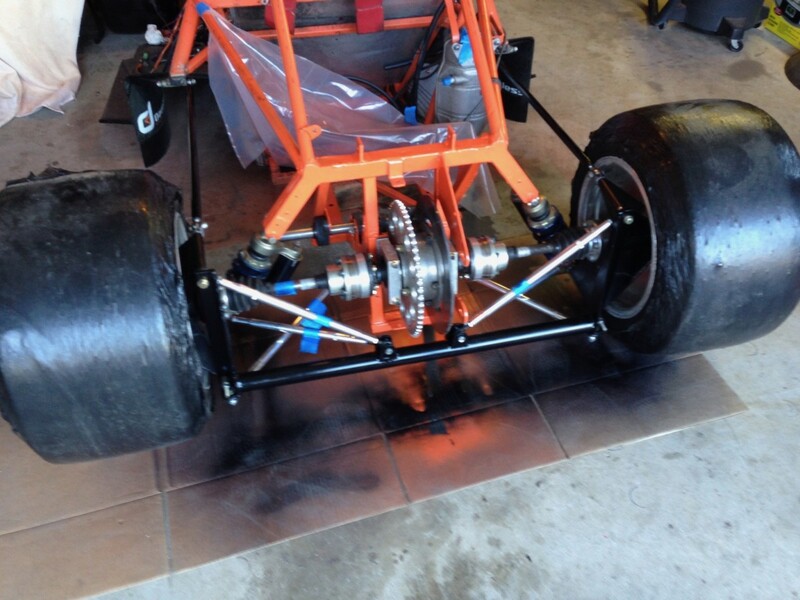 Jongbloed Racing Wheels (330 Aero) wrapped in Avon tires supplied by Roger Krause Racing. What was your favorite change or upgrade to the ACME Special? I think it’s the one where we got it to stop trying to kill us when we drive it. ☺ Seriously though, it has been built to an overall vision, one step at a time. As such, it is hard to have a “favorite”. Those Dauntless wings look badass though. 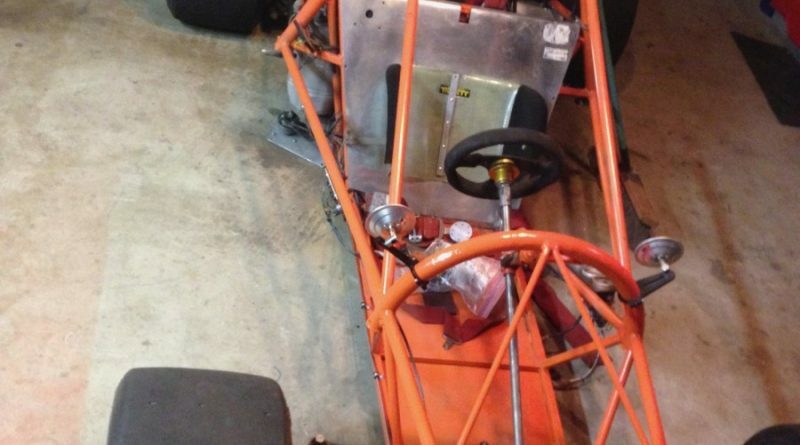 Is this car built to the limit of the A-Mod rules or is there room to develop the car further? There is always room to improve. Fortunately, most of the car’s weaknesses have been addressed, so it is down to minor improvements and second level priority items such as the recently added barge boards to help feed the rear wing. If possible, please describe in words what it’s like to drive the ACME Special competitively. How many lateral-g’s can this car sustain in a corner? Due to the extensive Aero is there a crossover point where you have to go faster to maintain grip levels? We’ve seen sustained 2.9g lateral; 1.4g forward; 3.7g braking. The shift between pure mechanical to mechanical plus aero grip is not noticeable at all. What has it been like for your daughter Kencey to transition from Karts to the ACME Special? Not that difficult. She ran the KM kart for three years and had a decent pace. That really helped get her prepped for the speed at which things come at you in the ACME Special. Her biggest issue going in was an internal speed limit based experience. For example, at the Fontana Pro, she was within .15 seconds Marshall’s time at the turn around, but the dropped a few seconds on the way back. Data shows her apex speeds, braking and acceleration points are all essentially the same, she just stopped accelerating at 75mph. That number has gone away with more seat time. Are there any other avenues of competition you would use this car for other than SCCA Solo? 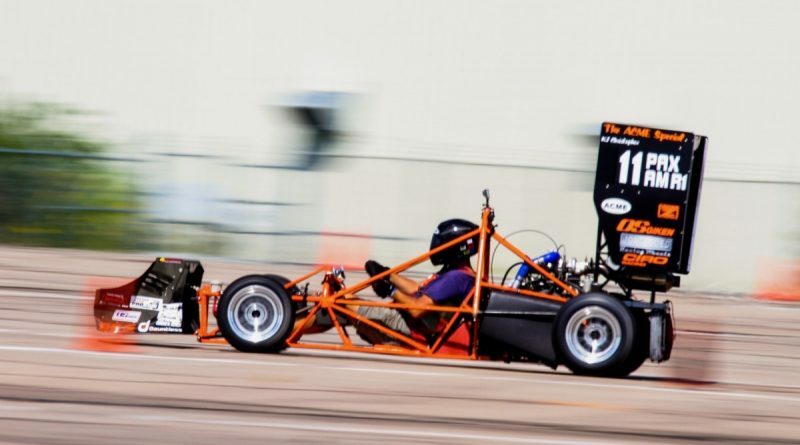 It started life as a dual purpose autocross/hill climb car. We just don’t have any hill climbs in the area! Are there any sponsors or others you would like to acknowledge for their assistance in getting your car to what it is today? Stanley Kowalski has created some awesomely strong sprockets for me and on numerous occasions has gone to his shop on Saturday night to fix one of my problems so I could compete on Sunday. He’s an excellent machinist and has been one of the most frequent supporters of the ACME Special. Greg Santry at GNS has been invaluable with engine and clutching tips. Stan and Rennie Clayton at Dauntless for the awesome aero and Guy Ankeny, who is my go-to shock guy.